Two men have been arrested in connection with a kidnapping last month in Kona. On December 23, a 22-year-old Kailua-Kona man reported that at 3:45 p.m., a 31-year-old male acquaintance and a second unidentified man approached him on Royal Poinciana Drive near Aliʻi Drive and asked him for drugs and cash. When he refused, they reportedly assaulted him, forced him into a sports-utility vehicle, stole personal items and held him at knife point while driving around Kailua-Kona for more than an hour and demanding money. The victim persuaded his assailants to drive him to the home of a family member so he could get cash. Once there, he went inside. After a family member confronted the suspects and said police had been called, the suspects drove away. On January 1, Kona patrol officers located the SUV, which was damaged and abandoned on Hina Lani Street in Kailua-Kona. Further investigation by Area II Criminal Investigations Section detectives confirmed the identities of both suspects. On Monday (January 6), police arrested 31-year-old Jack Toribio Casuga of Kailua-Kona and took him to the Kona police cellblock while detectives continued the investigation. On Wednesday (January 8), Casuga was charged with kidnapping, first-degree robbery, first-degree terroristic threatening and fourth-degree theft. He was also charged with violating parole in an unrelated incident and with first-degree burglary and second-degree attempted robbery for another unrelated incident on December 19 at a home on Aliʻi Drive. His bail was set at $146,000. He was held at the cellblock until his initial court appearance on Thursday (January 9). Also on Thursday (January 9), 29-year-old William Holbron-Kealoha of Kailua-Kona was arrested and charged with kidnapping, first-degree robbery, first-degree terroristic threatening and an unrelated count of failure to appear. His bail was set at $110,100. He remains at the Kona police cellblock pending his initial court appearance scheduled for Friday (January 10). Join Hawaii Wildlife Fund (HWF) to learn about native plants, animals, and anchialine pool ecosystems, participate in “muck sucking” and help us remove invasive grasses from this fragile habitat! HWF will provide gloves, buckets, tools, sunscreen and water re-fills. PRIZES will be awarded to the best ne “muck sucker”, for the best fall into the pool, to the dirtiest volunteer (i.e. covered in much and/or limu and to the person who hauls the most buckets of paspalum. For more info OR to RSVP please contact Megan Rose Lamson at meg.HWF@gmail.com or 808/769-7629. Chevron U.S.A. Inc. and DonorsChoose.org today announced that the 2013 Fuel Your School program, which launched for the first time this year in Hawaii, generated $350,000, benefitting 406 local public school classroom projects, including 185 resources to help support science, technology, engineering and math (STEM) curriculum, and impacting 32,650 students. Through Chevron’s Fuel Your School program, teachers at 110 Hawaii public schools statewide received valuable classroom resources. Carol Kim of Pearl Harbor Elementary School in Honolulu received math concept children’s books and games, which allows her students to better understand math concepts and relate them to real-life situations. Fuel Your School is a part of Chevron Corporation’s multimillion dollar holistic education commitment to support educational programs, especially those in STEM, that help increase access to and the quality of education and career and technical training at every level — from education to employment. To achieve this, Chevron works with education organizations, government officials, non-profit organizations and community leaders to develop and support innovative programs that invest in tomorrow’s workforce by educating students, supporting teacher training, providing classroom resources, supporting educational standards, funding out-of-school activities and preparing workers to excel in their jobs, including possible engineering positions at Chevron. In the U.S., Fuel Your School is an innovative collaboration between Chevron and DonorsChoose.org, an online organization dedicated to helping students in need. The program was driven by the lack of adequate public school funding, which has left some teachers without basic supplies to help students complete their classroom assignments. Through the Fuel Your School program, Chevron contributed $1 when consumers purchased eight or more gallons of fuel during the month of October at participating Chevron stations in Hawaii, generating $350,000, to help fund eligible classroom projects at local public schools. This year, the Fuel Your School program generated nearly $7.1 million to local classrooms in 16 U.S. communities and positively impacted more than 900,000 students with needed supplies. In 2013, the program was available in parts of California, Oregon, Utah, Texas, Louisiana, Georgia, Florida, Mississippi, Alaska and Hawaii. Two of the communities, Ector County, Texas and Del Norte, Humboldt, Lake and Mendocino counties (North Coast), Calif., were supported with the help of local marketers. Chevron also supported similar international programs in Canada, Johannesburg, South Africa, and Johor and Kedah, Malaysia. Since its inception in 2010, Fuel Your School has helped fund more than 17,000 classroom projects at more than 3,000 schools in the U.S. The program has grown each year to support students in various communities where Chevron has business operations. Founded in 2000, DonorsChoose.org makes it easy for anyone to help a classroom in need. At this nonprofit website, teachers at half of all the public schools in America have created project requests, and more than a million people have donated $218,127,939 to projects that inspire them. All told, 10,574,365 students—most from low-income communities, and many in disaster-stricken areas—have received books, art supplies, field trips, technology, and other resources that they need to learn. Visit www.donorschoose.org/intro to hear Oprah Winfrey and Stephen Colbert tell the DonorsChoose.org story. Hospice of Hilo is inviting the public to tour its Pōhai Mālama a Harry & Jeanette Weinberg Care Center on Wednesday January 22, located at 590 Kapi‘olani Street in Hilo. The first open house will be at 9:00 am and the second tour will be at 5:00 pm. The 14, 140 sq ft inpatient care center was completed and opened in 2012 and recently received its Medicare Certification. “The Pōhai Mālama a Harry & Jeanette Care Center was built to serve the community and it’s important for us to open it up to the community so they know it is there for them,” said Hospice of Hilo Development, PR, and Education Coordinator, An Umamoto. The care center features 12 private suites each with its own lanai that looks out onto the garden. It also houses one of the finest art collections on Hawai‘i Island. “A lot of planning and details went into the care center to ensure that it would be a place where individuals and families could really feel at home, and find comfort in their time of need,” said Hospice of Hilo CEO Brenda S. Ho. The care center is also home to the newly launched Hawai‘i Palliative Care Center, the only one of its kind on Hawai‘i Island. Since 1983, Hospice of Hilo has been serving East Hawai‘i from Laupāhoehoe to South Point, Kā‘u, through it’s home care program, bereavement program and most recently the inpatient care center and the Hawai‘i Palliative Care Center. After the initial open house on January 22, Hospice of Hilo will carry on with tours on the second Wednesday of each month at 9:00 am and 5:00pm. “We are open to scheduling individual and group tours at other times. Groups can also organize brown bag lunch meetings at the center to learn more about Hospice of Hilo and our services as well,” said Umamoto. For more information call 969-1733. Another new invasive pest has been detected on Oahu, one that damages coconut trees and other palm plants. The Coconut Rhinoceros Beetle (CRB) was detected at Joint Base Pearl Harbor-Hickam on Dec. 23, 2013 during routine surveys conducted under a cooperative agreement between the University of Hawaii at Hilo and the U.S. Department of Agriculture’s Plant Protection & Quarantine (USDA-PPQ). Samples of the suspect beetle were sent to the USDA entomology laboratory in Miami and confirmation of CRB, Oryctes rhinoceros (L.), was received on Jan. 3. 2014. Coincidentally, the discovery of the CRB happened on the same day that Little Fire Ant (LFA) was discovered on hapuu (Hawaiian tree fern) at a garden shop on Maui and subsequently confirmed on Oahu. LFA had previously been established on Hawaii Island. Since the discovery, the Hawaii Department of Agriculture (HDOA) and the USDA-PPQ have been working jointly with the military and the University of Hawaii (UH) to survey and conduct trapping activities in the Pearl Harbor – Hickam area to determine the extent of the infestation. So far, nine adult beetles have been trapped. It is a major pest of palms in India, the Philippines, the Palaus, Fiji, Wallis, Nukunono, American and Western Samoa and Guam. It is not known exactly how the beetles arrived in Hawaii. They damage palms by boring into the center of the crown where they injure young, growing tissue and feed on the sap. As they bore into the crown, they cut through developing leaves, causing damage to the fronds. V-shaped cuts in the fronds and holes through the midrib are visible as leaves mature and unfold. CRB is native to the Asian tropics, but was accidentally introduced to western and central Pacific islands. Natural enemies of CRB include pigs, rats, ants, and some beetles, which may attack CRB eggs, larvae, pupae and adults. They may also be killed by two diseases, a fungus and a virus; however, both are not known to occur in Hawaii. Suspected CRB on coconut and palm plants on all islands should be reported to HDOA’s PEST HOTLINE – 643-PEST (7378). This is also a toll-free number for neighbor islands. Gov. Neil Abercrombie’s Executive Office on Early Learning (EOEL) and the Hawaii State Department of Education (DOE) today announced plans for a prekindergarten program that will operate through 32 classrooms on 30 DOE elementary school campuses across the state, pending legislative funding. “Our future plans for Hawaii’s comprehensive early learning system involve both public and private preschools,” Gov. Abercrombie said. The program is intended to serve 640 children who qualify based on income and age requirements. Children must be four years old by July 31, 2014, which follows the new kindergarten age requirement, beginning in the 2014-2015 school year. The classrooms will be staffed by DOE teachers and educational assistants. Half of the classrooms will be located on the neighbor islands. Last year, the Legislature funded a School Readiness Program by expanding the Hawaii Department of Human Services’ Preschool Open Doors program, which provides families with subsidies to attend private preschools. The Executive Office on Early Learning has been working with DOE leadership to create a prekindergarten program operated on DOE campuses. Funds have been requested in the 2015 supplemental budget request. The DOE-EOEL prekindergarten program is being modeled after the prekindergarten classrooms established with Race to the Top funds in the Kau-Keaau-Pahoa complex on Hawaii Island. EOEL worked closely with DOE to develop plans for an infrastructure that would work within the DOE structure, but with EOEL support to ensure that children will leave the program with the skills needed to be successful in kindergarten. The new program will focus on the developmental needs of four-year-old children and be aligned with DOE expectations. Selection of the 32 classrooms was based on: Title I status; limitations of preschools in the community such as in rural areas; available space at schools; currently operating DOE prekindergarten classrooms with federal money that is about to end; and the interest and willingness of principals to work with EOEL on implementing a quality program. EOEL is requesting $4.5 million for the program through the Abercrombie Administration’s supplemental budget request. Implementation is contingent upon funding from the Legislature. The Coast Guard suspended the search Wednesday for a 34-year old male Filipino crewmember reported overboard from the cruise ship Grand Princess approximately 1,133 miles northeast of Hilo. The SLDMB is used in search and rescue missions and is equipped with a GPS sensor. Upon deployment in the water, it transmits its location periodically to the Coast Guard to assist with developing search areas. As part of the AMVER program, the container ship Horizon Reliance along with the Grand Princess’s sister ship Star Princess assisted in search efforts. More than 4,900 square miles were searched. Watchstanders at the Coast Guard Joint Rescue Coordination Center in Honolulu were notified at approximately 12 a.m. Tuesday that the 34-year old was overboard. 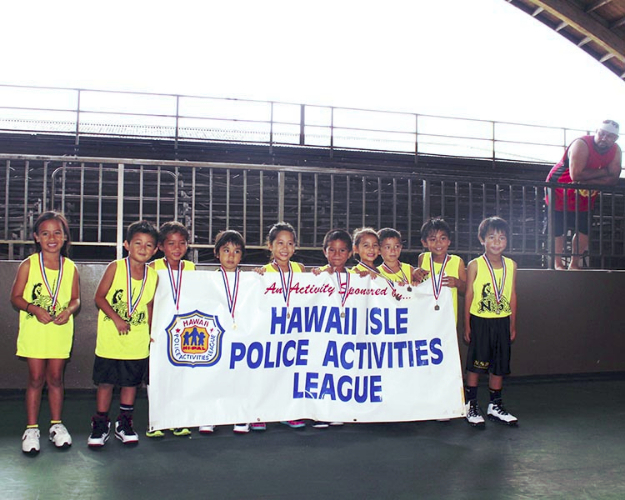 Three hundred ninety-nine youth, ages 5 to 14, participated in the 33rd Annual Hawaiʻi Police Activities League (HI-PAL) 2013 Winter Basketball Classic Tournament held December 26-29 in Hilo. The 5-6 and 7-8 divisions were held at Edith Kanakaole Indoor Tennis Stadium. 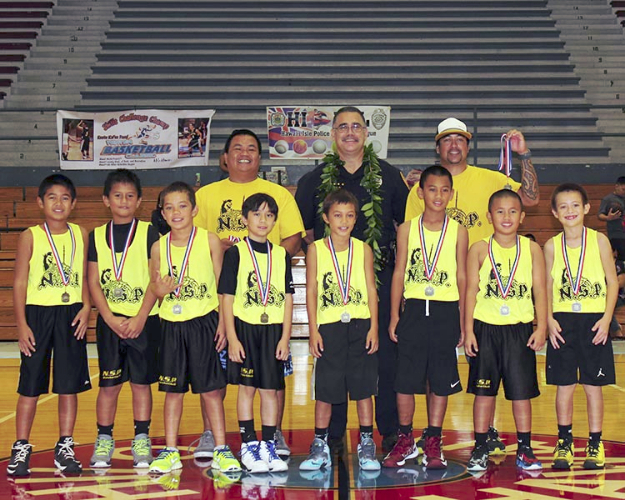 Taking the 5-6 mixed boys and girls division was NSP from North Kohala coached by Lawrence Kauka. Members of the team, in alphabetical order, are Kahiau Alcoran, Samuela Emeliano, Jayden Hook, Khloe Hoshida, Layden Kauka, Isaac Libron-Salvadore, Kalia Marquez, Dillon Oandasan, Isaiah O’ Malley, Royden Tabiolo and Kailani Valenzuela-Conte. Coming out on top in the 7-8 mixed boys and girls division, with eight teams participating, were the Paʻauilo Tigers coached by Will Rideout. Members of the team, in alphabetical order, are Kawehi Agustin, J-me Asia, Traeston Berdon, Alexa Meyer, Kiandray Rideout, Zane Sopher, Lily Vincent and Ali Wawner. 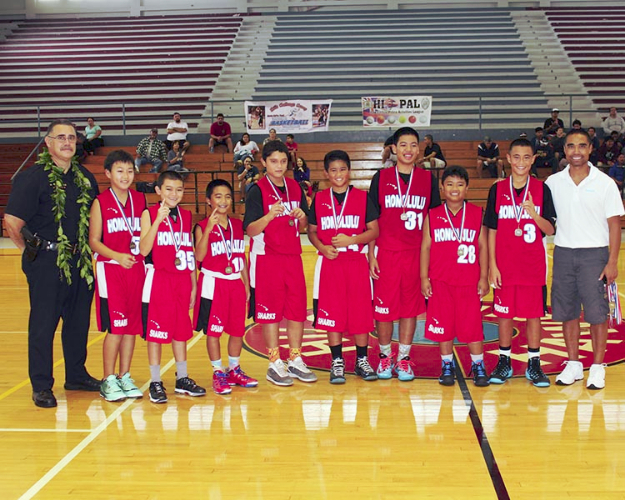 The 9-10 division was held at Kawananakoa Gym in Keaukaha with the championship games held on Sunday, December 29, at the Hilo Civic Auditorium. Taking this division was NSP from North Kohala coached by Reeve Cazimero. Members of the team, in alphabetical order, are Koby Agbayani, O’shen Cazimero, Zhane Ellazar-Ching, Donavon Emeliano, Moses Emeliano, Jace Hook, Laʻakea Kauka and Legend Libron. 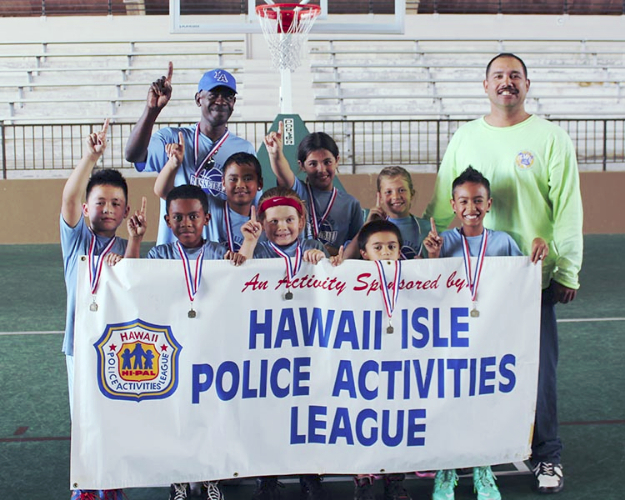 The 11-12 division was held at Hilo Armory and Gilbert Carvalho Gym with the championship games held on Sunday, December 29, at the Hilo Civic Auditorium. Ten boys teams and four girls teams participated in this division. 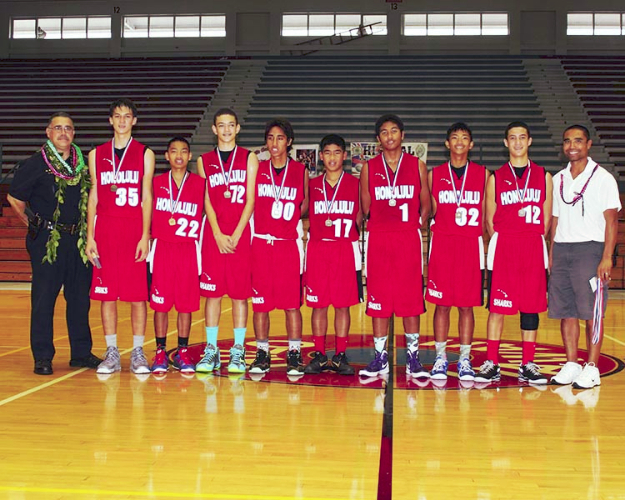 Taking the boys 11-12 division were the Sharks from Honolulu coached by Roy Nafarrete. Members of the team, in alphabetical order, are Colby Casinas, Jonah Casinas, Carson Fu, Cameron Miyasato, Kai Nafarrete, Kobe Ordinado, Liko Soares and Christmas Togiai. 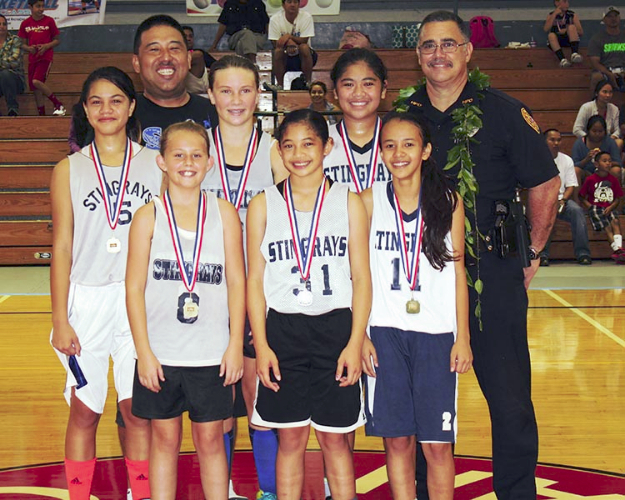 Coming out on top in girls 11-12 division were the Stingrays coached by Don Awa. Members of the team, in alphabetical order, are Grace Hing, Caiyle Kaupu, Kiane Medeiros-Dancil, Tanniya Uchida, Payton Walters and Riley Walters. The 13-14 division was held at Hilo Civic Auditorium. Fourteen boys and three girls teams participated in this age division. Taking the boys 13-14 division were the Sharks from Honolulu coached by Roy Nafarette. Members of the team, in alphabetical order, are Cobie Barnes, Caleb Casinas, Tamatoa Falatea, Tumu Fiaseu, Kolin Galdiano, Isiah Gelacio, Crumel Mooring and Chris Sykes. 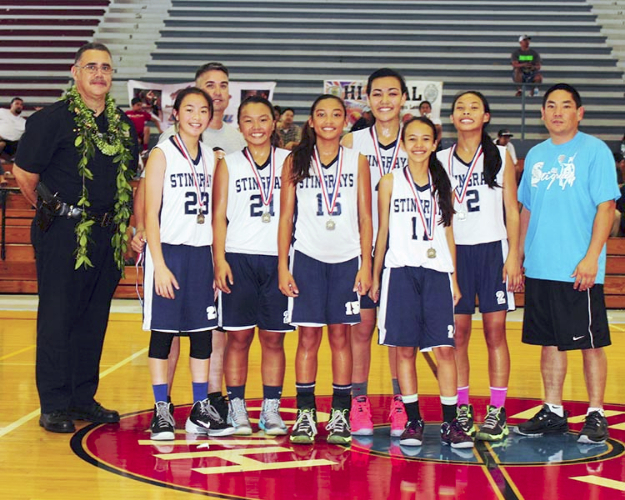 Coming out on top in girls 13-14 division were the Stingrays coached by Kevin Yamasaki. Members of the team, in alphabetical order, are Camylle Agbayani, Makenzie Kalawaia, Kawena Kaohimaunu, Cherilyn Molina, Mikayla Tablit and Tanniya Uchida. The Mountain View Long Range Community Plan volunteer group is meeting again tonight (Thursday, January 9th) at 6:00 p.m., in the Mountain View School cafeteria. Please join your friends and neighbors to discuss and take the Mountain View Long Range Plan Survey. The survey is also available online at: https://www.surveymonkey.com/s/3727HK8. This is your golden opportunity to make a difference by sharing your vision for the future of Mountain View.